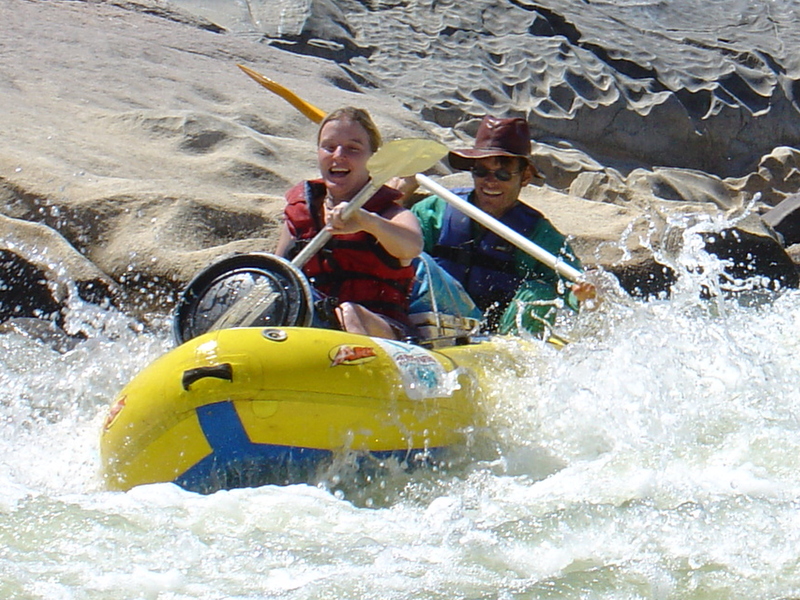 We offer river rafting trips, from a 1 day outing to a 6 Day River expedition. Why not combine your holiday with a River Rafting trip. Please select which river you would like to raft to get more info. The Orange River is on the border between South Africa and Namibia and is normally a 4 or 6 Day trip. If ever you have felt the need to be suspended in time, the Orange River Richtersveld is the place to do it. For millions of years, nothing has changed here. The proud, ever-constant magnificence of Africa is overwhelming. This river rafting trip offers a relaxing and educational journey through time and beauty, with a few rousing rapids along the way to bring you back to the present. The Breede River is in the Winelands area close to Worcester and can be done as a 1 day to a multi day trip. Take a break from the hustle and bustle of city life and come experience a relaxing, unforgettable trip through the Breede River Valley Winelands. Just over an hour’s drive from Cape Town, the broad, tranquil, scenic Breede River snakes its way towards the sea… perfect for yearend functions, corporate team building events or conference weekends. The Doring river trips only run in the winter if the water level is high enough and can be very fickle, so please contact us for more info. The excitement of the action packed Doring R iver trip will definitely tantalize your adrenalin levels, win your heart and give you the chance to test your strength and ingenuity against the turbulent white water. These exhilarating white water rafting trips bring back adrenaline junkies season after season! It assigns new meaning to the word EXTREME! We can also arrange transport and accommodation pre and post tour in the Winelands, Cape Town and even plan a whole self drive tour with activities along the Garden Route.